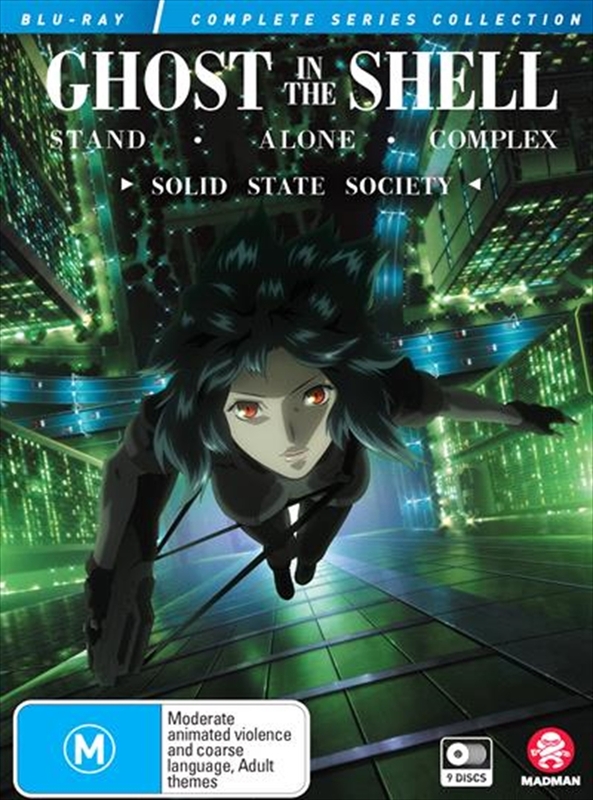 The television series based on Masamune Shirow's Manga and Mamoru Oshii's highly influental film, 'Ghost In The Shell: Stand Alone Complex' takes viewers to futuristic society where technology has saturated citizens' daily lives. Along with the new technology comes new types of crime that exploits it, but female cyborg Major Motoko Kusanagi and her team of police, Section 9, devote their lives to chasing criminals, both on land and in cyberspace. Contains Seasons 1, 2 and Solid State movie.